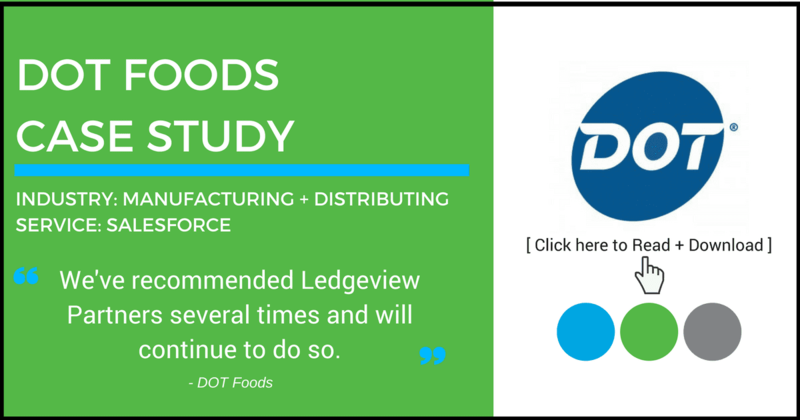 While we at Ledgeview understand how highly intricate and transformational advanced technology like Salesforce solutions can be for a business, we also understand how it can also feel like a hindrance, not helping you as much as it can when you don’t understand it, or know how to design or maintain it. That’s why we want you to focus on what you do best, and allow our group of Certified Salesforce Consultants take care of the rest. 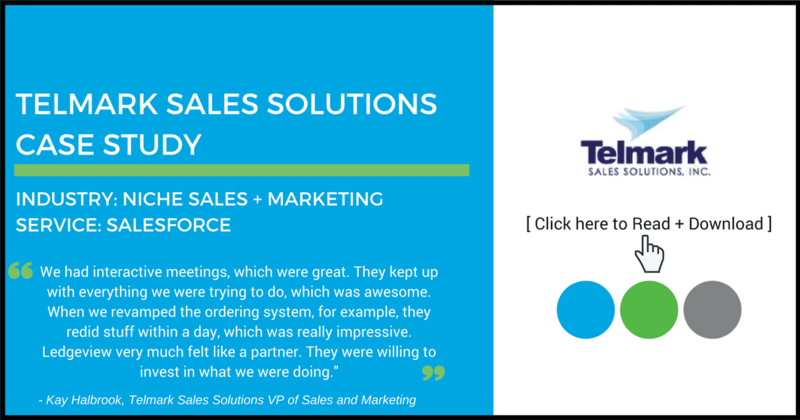 Our Consultants hold high levels of certification in Sales Cloud, Service Cloud, Community Cloud, Pardot, Marketing Cloud, and more, so you can rest assured that our team will take care of you whatever your business need is. Today, over 100,000 of the world’s most innovative, leading companies use Salesforce to close deals faster. 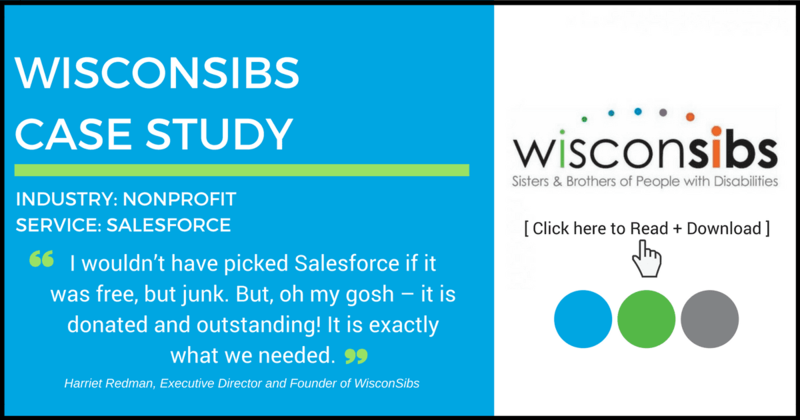 It is one of the most flexible and powerful web-based databases available on the market, which is why we are proud to be recognized as a Salesforce Silver Consulting Partner. 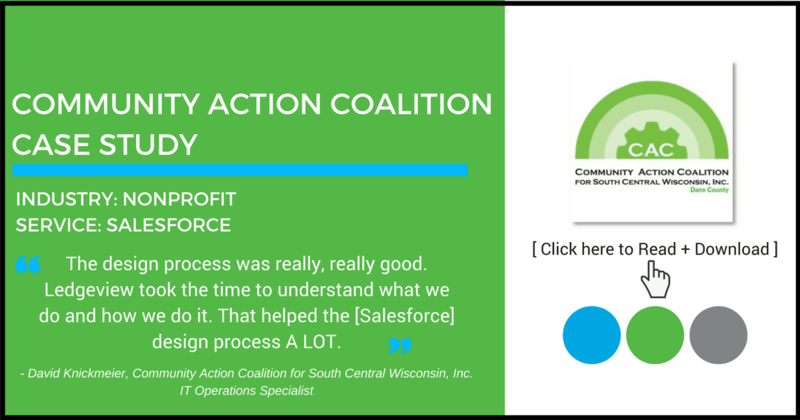 Our certified Salesforce Consultants work with a wide range of Salesforce Products to include Sales Cloud, Service Cloud, Community Cloud, Marketing Cloud, and more. 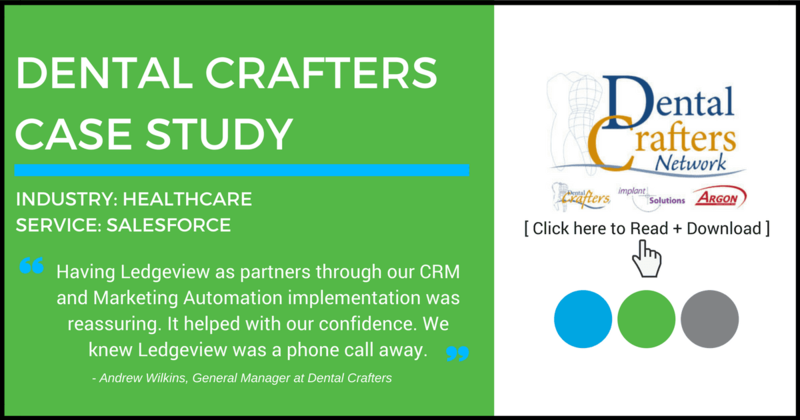 Salesforce is the #1 Sales and CRM Application for a reason – proven results. 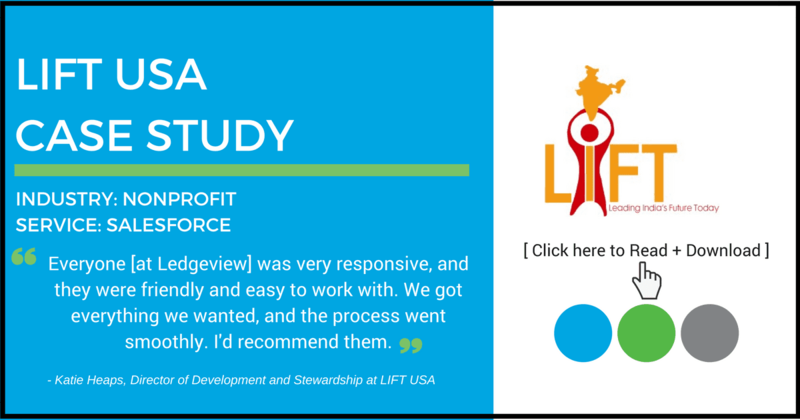 Why are we so passionate about customer success at Ledgeview? Because we remember what it was like to be you – everyone starts somewhere! 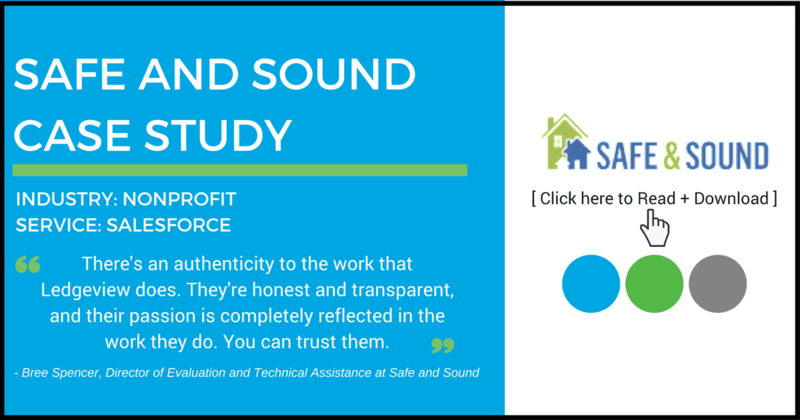 Our Certified Salesforce Consultants specialize in understanding your specific business objectives and match them to a Salesforce solution that’s right for you. There is no one-size-fits-all solution because no two companies are exactly the same. Focus on what you do best, and allow our group of experts take care of the rest. Ledgeview Partners is proud to support and align with Salesforce’s Pledge 1% philanthropic model. By donating 5% of our net income to charity, we meet the charitable leadership criterion that Salesforce has set out to encourage businesses to make their communities a priority. Ledgeview proudly sponsors Compassion International. Learn more about Pledge 1% here. 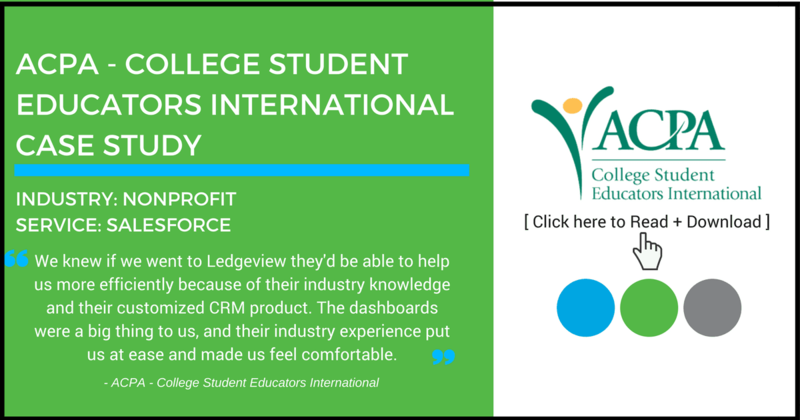 Learn more about how Ledgeview helps nonprofit organizations help their communities through CRM here. 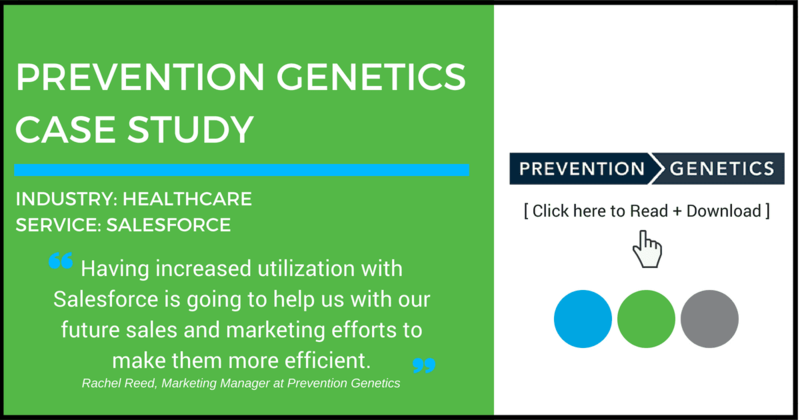 Get Your FREE Copy of our Expert eBook Guide on Achieving User Adoption Success with Salesforce!